Nigerian poet and novelist Gabriel Okara died in his sleep at his home in Yenagoa, Bayelsa State, after a brief illness on Monday, March 25, 2019. 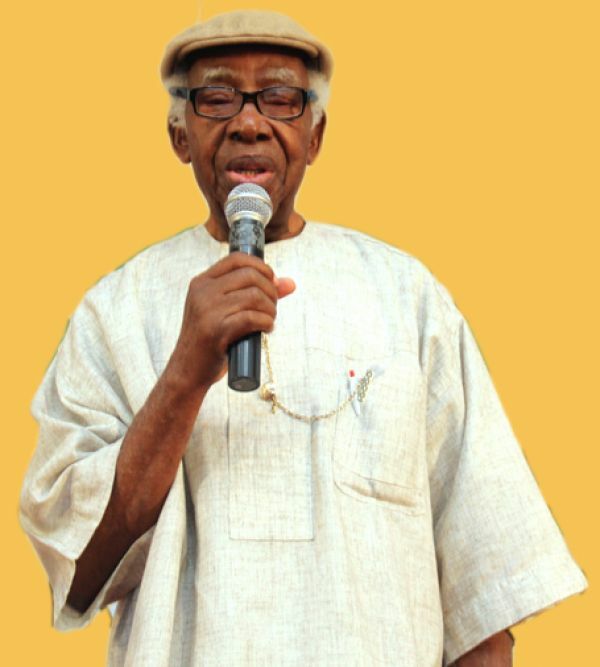 Gabriel Okara was born on April 24, 1921, in Bayelsa State, Nigeria. He attended Government College Umuahia in the 1930s and 40s where he got exposed to and was inspired by the writings of Williams Shakespeare and other writers. He went on to attend Yaba Higher College and Northwestern University, USA. The first modernist poet of Anglophone Africa, Okara drew on African thought, religion, folklore, and imagery for both his poems and his prose. Some of the work of “the Nigerian Negritudist” includes The Voice (novel) (1964), The Fisherman’s Invocation (poems) (1978), Little Snake and Little Frog (for children) (1981), An Adventure to Juju Island (for children) (1992), The Dreamer, His Vision (poems) (2005), As I See It (poems) (2006), and Collected Poems (2016). On his passing, many poets and other literary players gave a tribute to the late Okara including Dami Ajayi, Efe Paul Azino, Richard Ali, and Michael Afenfia. March is brutal. Travel Well, Gabriel Okara. It is with great sadness that I received the news of the passing of the renowned poet and novelist, Gabriel Okara. It comes at a time plans are underway to celebrate the 55th anniversary of his novel, The Voice. Previous Previous post: Writivism Short Story Prize 2019, Koffi Addo Creative Nonfiction Prize 2019 longlists announced.